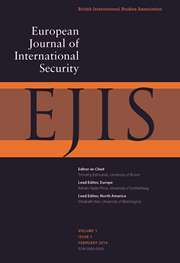 Today the first issue of the brand new European Journal of International Security (EJIS) went online. The forum discussing the future of the practice turn in International Relations has just been published by the International Studies Quarterly (ISQ) Blog and is available here. The forum takes our 2015 ISQ article titled “The Play of International Practice” as the starting point and then centers on the question what the promises of practice theoring in IR are. The forum includes contributions by Emanuel Adler and Vincent Pouliot, Rebecca Adler-Nissen and Ole Jacob Sending as well as a response by Frank Gadinger and me. Categories: News, Publications | Tags: Practice Theory | Permalink. Paper on practice turn in IR now in print. The core claims of the practice turn in International Relations (IR) remain ambiguous. What promises does international practice theory hold for the field? How does the kind of theorizing it produces differ from existing perspectives? What kind of research agenda does it produce? This article addresses these questions. Drawing on the work of Andreas Reckwitz, we show that practice approaches entail a distinctive view on the drivers of social relations. Practice theories argue against individualistic-interest and norm-based actor models. They situate knowledge in practice rather than “mental frames” or “discourse.” Practice approaches focus on how groups perform their practical activities in world politics to renew and reproduce social order. They therefore overcome familiar dualisms—agents and structures, subjects and objects, and ideational and material—that plague IR theory. Practice theories are a heterogeneous family, but, as we argue, share a range of core commitments. Realizing the promise of the practice turn requires considering the full spectrum of its approaches. However, the field primarily draws on trajectories in international practice theory that emphasize reproduction and hierarchies. It should pay greater attention to practice approaches rooted in pragmatism and that emphasize contingency and change. We conclude with an outline of core challenges that the future agenda of international practice theory must tackle. Our introductory text to Actor-Network Theory is available as pre-print. The chapter titled “Actor-Network Theory. Objects and Actants, Narratives and Networks” is authored jointly with Jan Stockbruegger. It is forthcoming in “Technology and World Politics: An Introduction”, edited by Daniel R. McCarthy (Abingdon: Routledge) which is a textbook for advanced graduate students. In the chapter we provide a succinct introduction to Actor Network Theory (ANT) and how it has been discussed in International Relations. Arguing that ANT offers “empirical theory” we review a range of classical ANT studies and discuss what concepts they develop. We continue in exploring what one can “do” with ANT to study international relations and global politics. The chapter is available through my Academia page, and can be accessed here. Categories: News, Publications | Tags: ANT | Permalink. 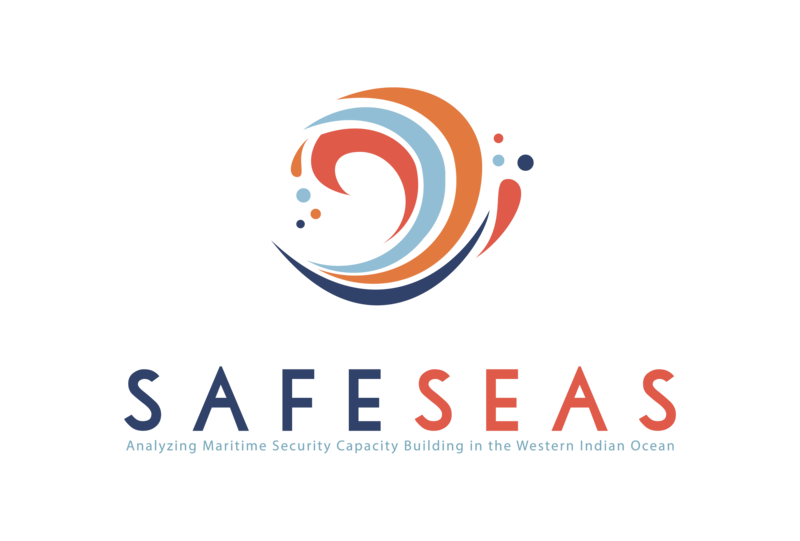 On the of 22 April 2015 (Wednesday) I will give a talk on my ongoing research on maritime domain awareness and information sharing in South East Asia at the seminar series of the Center for International Law of NUS. Further information is available on the CIL website. You can download the full draft paper here. As part of the project “The return of the theorists” by Richard Ned Lebow, Hidemi Suganami and Peer Schouten I have written together with Peer Schouten a virtual interview with pragmatist thinker John Dewey. In the interview we discuss with Dewey, about his understanding of knowledge production and methods, politics, and language games. The interview is published as Theory Talks interview #100. Please read the full version here. International Practice Theory has become one of the core perspectives in International Relations. Since the practice turn, there has been significant interest in developing new theories and methodologies for understanding world politics and global governance. This unique study reviews these new approaches, offering a focused discussion of the strategies, techniques and issues. Examining how International Practice Theory is linked to social theory and international relations theory, Bueger and Gadinger explore Bourdieu’s praxeology, the community of practice approach, narrative approaches, Actor-Network Theory and Boltanski’s pragmatic sociology to address core questions of transformation, scale, normativity and materiality. Advocating greater attention to translating International Practice Theory into empirical research, this book will be a valuable resource for all those interested in social theory, practice theory and the international. 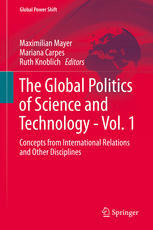 My book chapter which discusses the different way of how expertise in international relations has been studied is now available in print and online as part of the Handbook “The Global Politics of Science and Technology”. It will be an interesting read for anyone interested in the role of experts, politics and knowledge production as well as international organizations. The chapter provides an historical overview and argues that there are three generations of studying expertise in international relations. The role and functions of expertise in international politics is, since decades, a core research theme. This chapter outlines a history of how the relation between science and international politics has been approached through the lenses of expertise. My intention is to offer a heuristic device. I argue that the debate can be structured in three generations. A first generation is interested in experts as actors that have a causal influence on international politics. The second generation scrutinizes discourses of expertise and their constitutional role in making the international. And the third generation concentrates on practices of expertise and the way these perform the epistemic arrangements of the international. To think about the study of expertise in the frame of three generations each offering different insights and carrying advantages and problems provides not only a practical tool for sorting ideas, but clarifies what one ‘buys in’ by following a specific generation. The chapter is either available here or as pre-print here. Political scientists have started to focus on ‘practice’ as the smallest unit of analysis. 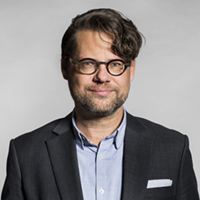 Following a broader turn in the social sciences, the practice focus provides multiple advantages, including better conceptualizations of short-term social change, getting closer to the everyday activities of those speaking, writing and doing politics, appropriate conceptualization of agency-structure dynamics, or forms of analysis resonating with other communities than scholarly ones. This contribution asks what the methodological implications of the practice turn are. It is argued that the practice focus does not only imply a certain ‘theory’ but also a certain methodology. I advance the term praxiography to speak about the forms of analysis produced by practice researchers. I discuss key guidelines of praxiographic research on two levels: first, general research strategies that provide empirical access points, second, guidelines for data collection in the frame of participant observation, expert interviews, and document analysis. I conclude in arguing that although praxiography is context driven, and hence requires to be tailored to the research problem, it is vital to reflect on the methodological repertoire of praxiographic research.